Robert Mujagic is a native of Stuttgart Germany, who joined the culinary business at the age of 17. He started his apprenticeship, as chef, at a small gault Millau & Michelin Star rated fine dining restaurant. 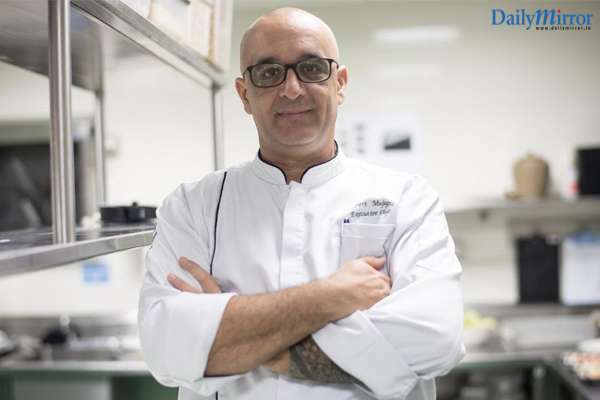 With over 28 years of extensive culinary experience, he is the new Executive Chef at Hilton Colombo. During his journey to become an executive chef, Robert had the opportunity to work in many different countries, namely; Germany, Russia, Maldives, Croatia, Turkey, Thailand and now Sri Lanka. Also employed for over 3 years on luxury 5 star cruise liners like Vistafjord, Royal Viking Sun, Seaborn Legend, Azamara Journey and sailing around the world twice, taught him about many different cultures and cooking techniques. Further he added, “Moving to Sri Lanka just 2 weeks ago made a dream come true. After extensive traveling, it was always my dream to work in this beautiful country; and joining Hilton Colombo and being part of the Family was the long awaited opportunity. Feeling like I have the freedom to express myself to the fullest and being creative in trying out a lot of new creations, makes me feel like its home away from home”.